Stamford, Connecticut, U.S.A. — Bishop Julius Jia Zhiguo 賈治國, the unregistered or "underground" Roman Catholic Bishop of Zhengding 正定, Heibei, whose repeated arrests by the Chinese government have been reported by the Cardinal Kung Foundation and by other world news media many times, was arrested again by the Chinese authorities at approximately 10:45 AM Beijing time on Sunday, August 24, 2008. Six government officials in two automobiles arrested Bishop Jia from his Christ the King Cathedral in WuQiu 武邱. As far as we know, this is the 12th time that Bishop Jia was arrested by the Chinese authority since January 2004. He was last arrested on August 23, 2007, and was released on December 14, 2007. We do not know where Bishop Jia is detained at this time. We also do not know why he was arrested again this time. As we have already reported on July 13, 2008, Bishop Jia's release in December 2007 did not bring about his "freedom" to carry out his duties as a bishop of a diocese. 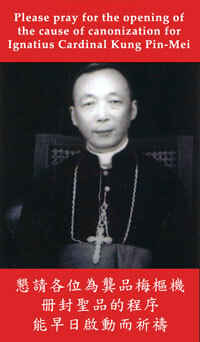 Bishop Jia was under house arrest, confined in the living quarters of his cathedral, Christ the King Church in Wu Qiu. He was not allowed to receive any visitor except for a few rare occasions when the visits were supervised and accompanied by the government officials. However, On August 15, 2008, the feast of Assumption of the Blessed Virgin Mary, he was allowed to offer a Mass at his Cathedral. Thousands attended. Near the vicinity of the Christ the King Church, the public police bureau had set up an observation post in order to monitor the activities and visitors to this church in WuQiu. The government has an organized unit of six officers patrolling the vicinity of the church 24 hours a day, forbidding any visitor to visit Bishop Jia, or to approach the vicinity of the church. Bishop Jia is seriously sick causing a constant tremor of his right hand. The Bishop requested medical service outside of his living quarters, but was denied by the authorities. Bishop Jia, almost 74 years old, was consecrated a bishop as the bishop of Zhengding, Heibei on December 19, 1980 mandated by the Pope. He has spent 18 years in prison. Zhengding is a small village situated approximately 100 miles south of Beijing. 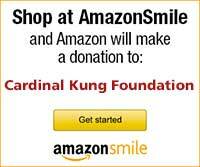 It is a faithful Roman Catholic community with approximately 110,000 Catholics. Bishop Jia is also caring for approximately 100 abandoned handicapped orphans. This orphanage is greatly in need of financial and medical help. There are approximately 40 underground bishops in China. Every one of them is either in prison, disappeared, under house arrests, or under surveillance. Bishops Su Zhimin 蘇志民, Bishop of Baoding 保定, and Shi Enxiang 師恩祥, Bishop of Yixian 易縣, were arrested in October, 1997 and April 2001 respectively. There has been no news on these two bishops since then. Both have now disappeared. We do not know if they are still alive. Bishop Han DinXiang 韓鼎祥, the Bishop of Yong Nian 永年, was arrested in December 1999, and disappeared in the last two years of his prison. He died suddenly in prison on September 9, 2007 in very mysterious and suspicious circumstances. He was not allowed a Catholic burial. Instead, by order of the government, the Bishop was cremated and buried within 6 hours of his death! These bishops' current plights are just some examples of many underground Roman Catholic bishops whose civil rights are being seriously violated in China. The persecution of religious believers is very much alive in China and ongoing regardless of the fact that the Olympics games has just been held in China and closed today. As Pope Benedict XVI reminded us in his letter to China published on June 30, 2007, "Many bishops have undergone persecution and have been impeded in the exercise of their ministry, and some of them have made the Church fruitful with the shedding of their blood."